New hope for those in PAIN�. In many ways it does not matter why you are in pain, just that you are. There is hope and a way to reduce, and/or eliminate the pain completely. Treatment Massage. Most of us are not strangers to pain, sadly. At some point in our lives we have had that little twinge, nagging pain, injured or broken something. What happens when pain persists and what you do about it can make all the difference. Typically our symptoms begin small, as an ache, and very localized (which we tend to ignore and/or tune out-it will go away). 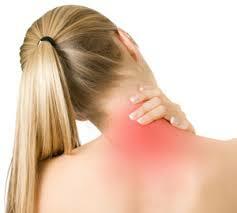 Over time this ache increases many times into full-blown pain and generally spreads out and possibly to other areas. Do you have to stop working? Maybe reduce what you enjoy doing in life? Missing out on those special moments with kids/grandkids because your pain stops you? The odds are good that what you are experiencing has a simple solution, and not permanent. Many times pain and other symptoms can be reduced and possibly eliminated completely if taken care of shortly after you notice the symptoms. And yes luckily-often even later you can get good results also, it may just take longer and more effort on your part. Many times when pain shows up and persists we head to our doctor. This is great but many times people do not get helpful answers/direction. Many times common ailments can be mistaken and mistreated and sadly treatments don�t actually fix anything. I see many patients that are frustrated because they are not getting better. 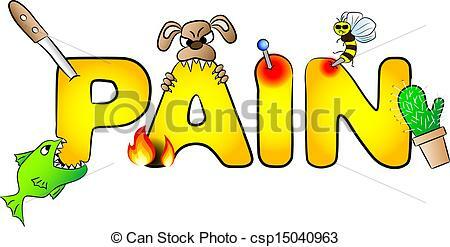 Pain is usually accompanied by inflammation/swelling. The treatment (from Dr�s) for swelling is R.I.C.E. (Rest, Ice, Compression, Elevation). This can make you feel better however it is usually temporary because it really doesn�t FIX anything. It is not addressing the underlying issues/cause. It decreases the symptoms but not the cause. Remember Cause and Effect in school! That is really what needs to be explored. Modern medicine is famous for treating symptoms-helping the issue temporarily, BUT this does not address the cause or WHY you are having pain, so it usually returns. Your body is talking to you. We just have to figure out how to listen and understand what it is saying. Many times doctors only look at the immediate area of pain you reported, they do not follow the story or the path in the body. A very limited view, hence the need for a WHOLEistic practitioner. Your goal should be to find the true cause and eliminate it. This article will address this and help guide you. At Stress Waived, We are whole body practitioners and soft tissue nerds. Understanding the structures and how they are suppose to work is a start. Then exploring what is hindering that=the cause and dealing with that directly will begin to ease the pain. We have found over our years of experience that many times where you feel the pain is not where the problem actually is occurring. Our joints are designed to work in certain directions. 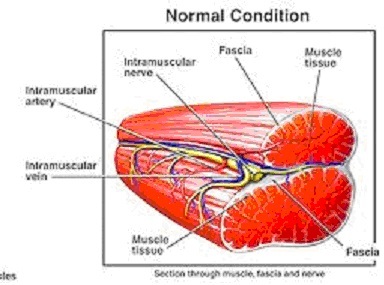 Muscles are what actually make the joint move as they contract and release. Over time it is our habits and routines that can cause many of our issues. They accumulate as time moves forward 9kind of like compound interest). We put strain on joints and muscles when we do actions/activities. Most of the time we don�t realize that what we are doing will cause a problem in the future. We do it because it needs to be done, and we find a way to get it done (chores, work, sports, etc�). When muscles are repeatedly tightened but not allowed to fully contract (complete their full range of motion), bad things happen. The muscle begins to grow unwanted/unhealthy tissue, which over time hardens the muscles tissues, not in a toned good way either. 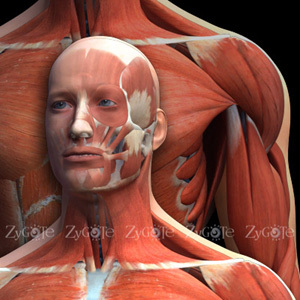 When muscles reach this state, they pull even when not �in use� (doing the activity that caused it). This hardened form applies constant PRESSURE and strain on all structures (joints, ligaments, muscles, etc). This constant pulling causes inflammation, the bodies natural response to injury, resulting in pain. How do we eliminate the pain? 1-Ice, rest, compress, injection of steroids, which helps decrease inflammation and numbs the pain. This means your brain does not get the signals fully that there is a problem. This in itself can cause further problems if you are not careful during this healing. 2- Surgery. Cut part of the tissue that appears to be causing the pain. This may or may not solve the issue long term. If you recall in the reading many times where you feel pain is not always and the only cause of your symptoms. 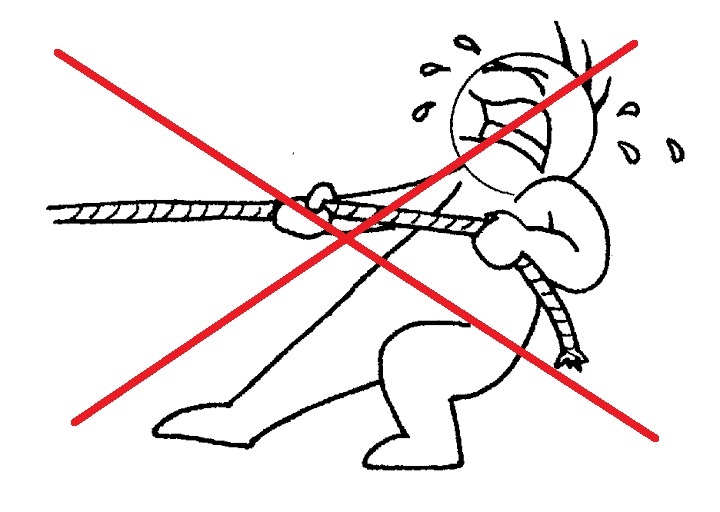 3-Convince the muscles to stop pulling. I hope the answer is obvious, or at least which one to start with. Number 3-of course. We have found that convincing the muscle and other soft tissue to stop pulling, results in decreasing pain, almost immediately. 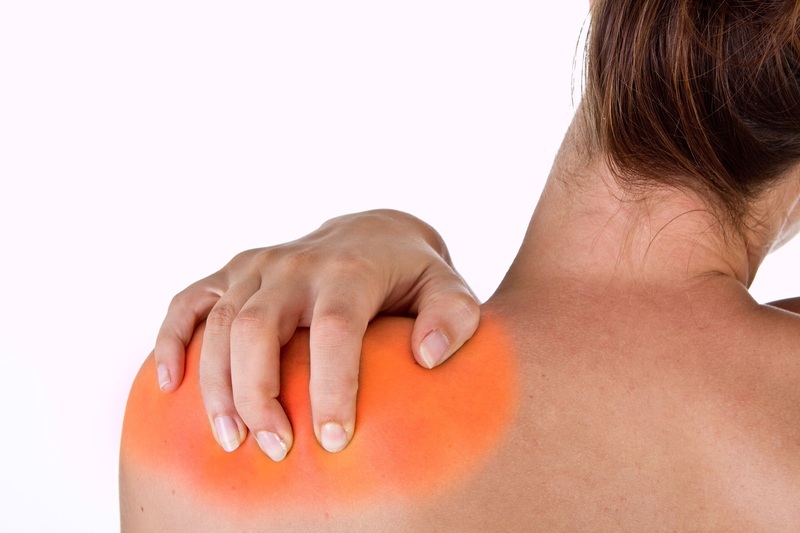 Using a variety of hands on techniques, which our massage therapists specialize in, have this affect on the body with great results. Most of the time it takes several sessions to get permanent results-like going to the gym-cant go once and expect wash board abs-would be great but we are not designed this way. You have to manually break down the hardened tissue(s), which restores blood flow, increases movement without pain, and reconditions the muscle. As this occurs (usually several sessions), the feedback to your brain changes, and your body will begin to heal with healthy muscle tissue. 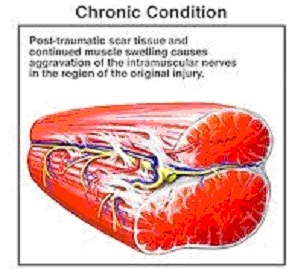 As the unhealthy tissue breaks up the pain decreases, how the muscle is used changes and the strain dissipates. Stretching alone sadly does not usually work. 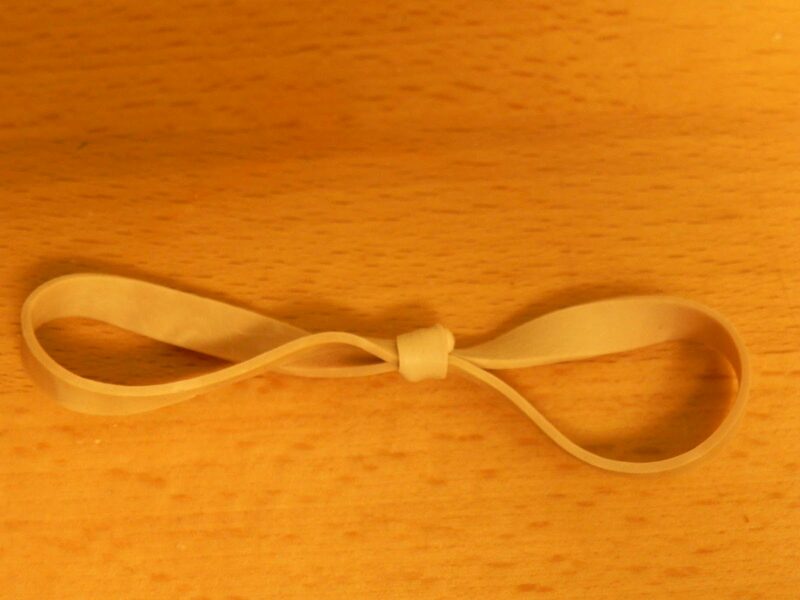 Imagine stretching a rubber band with a knot in the middle. 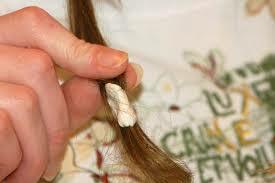 The ends stretch, as they are not affected but the knot does not undo itself, it usually gets tighter. The affected muscles NEED to be worked directly to unknot the knot. Kind of like taking gum out of ones hair. One strand at a time�breaking the gum (knot) apart. At stress waived we have over 25 years of hands on experience in the pain relief industry, we have seen and helped �fixed� this condition countless times for many people with various conditions: hamstring strains, lower back pain, whiplash, carpel tunnel and SO many more. Remember, the best surgery is the one you can avoid. If you are still in the beginning stages, the time to act is NOW. You can email, or text with questions for your specific situation. We will do our best to help and answer. The best is face to face at an appointment. Not ready to book? Need to LEARN MORE ?